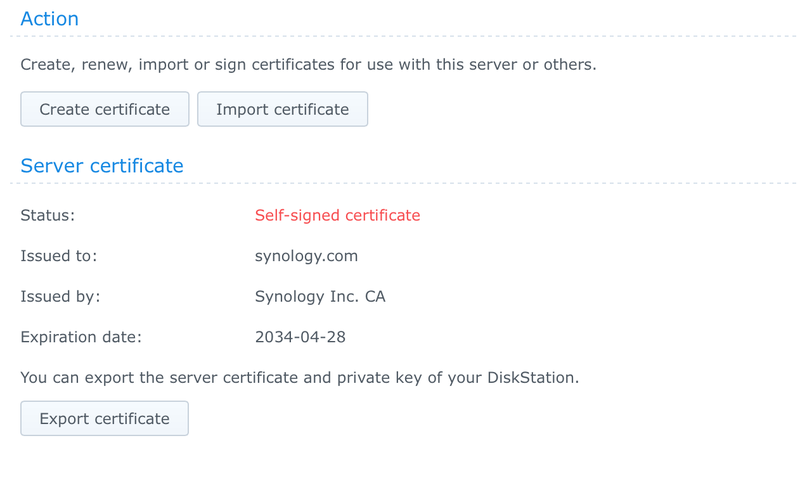 This is the second article in a series to secure your Synology NAS. 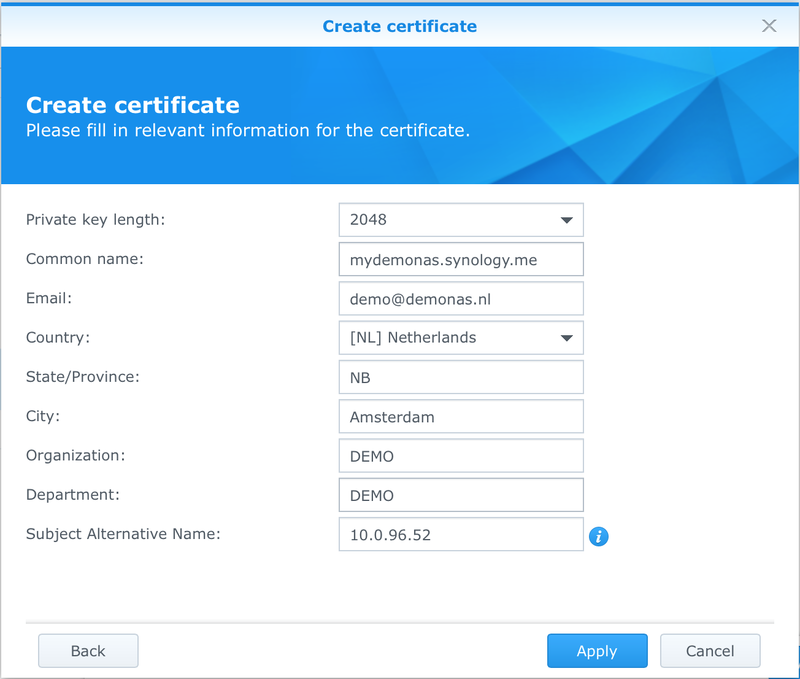 If you use the DDNS service of Synology you can use names in front of the DDNS name to connect to the services. f.i. 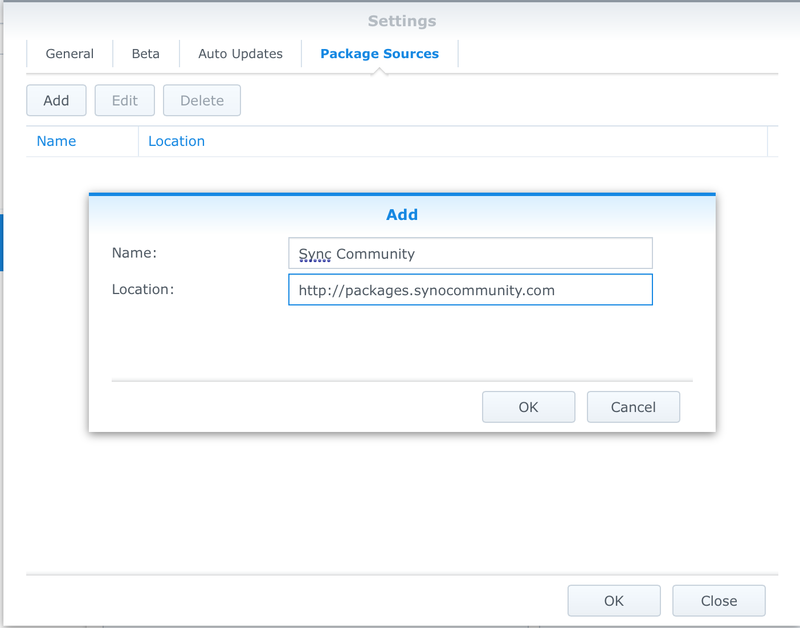 https://dsm.mydemonas.synology.me would redirect me to the admin interface of my NAS. 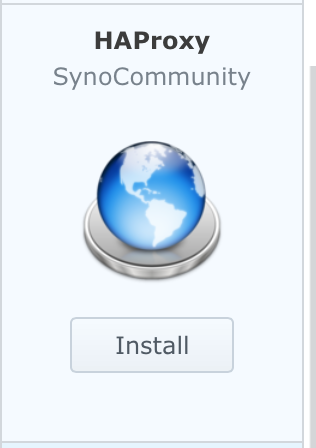 On the left hand side click on community and then refresh. 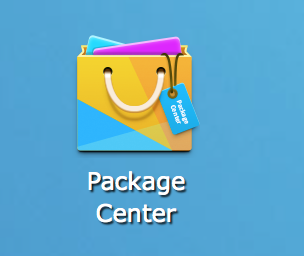 A lot of packages will appear here. 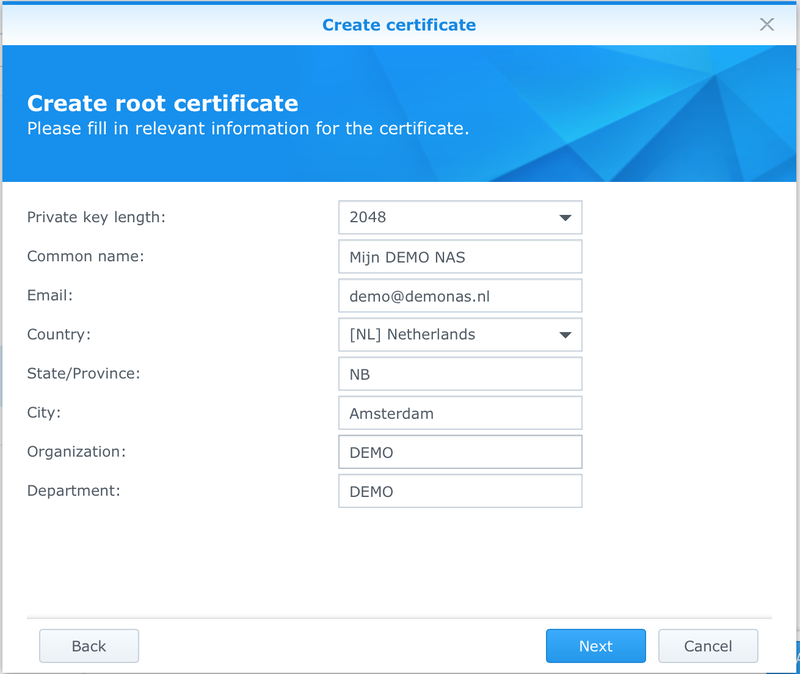 Before we install HAProxy we first need to update the certificate and enable SSH. 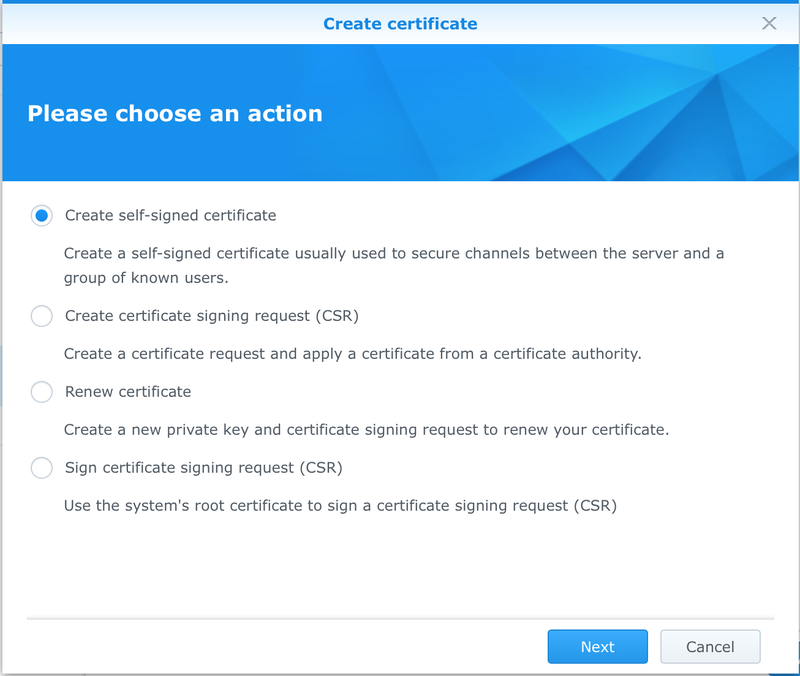 In this tutorial we create a self-signed certificate, if you have a valid certificate you can import it here, or you can create a certificate request which you can send to a certificate authority. 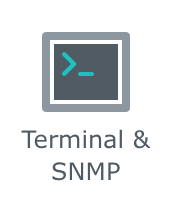 Since the custom configuration of HAProxy is only available through the command line we must enable SSH to connect to the NAS. 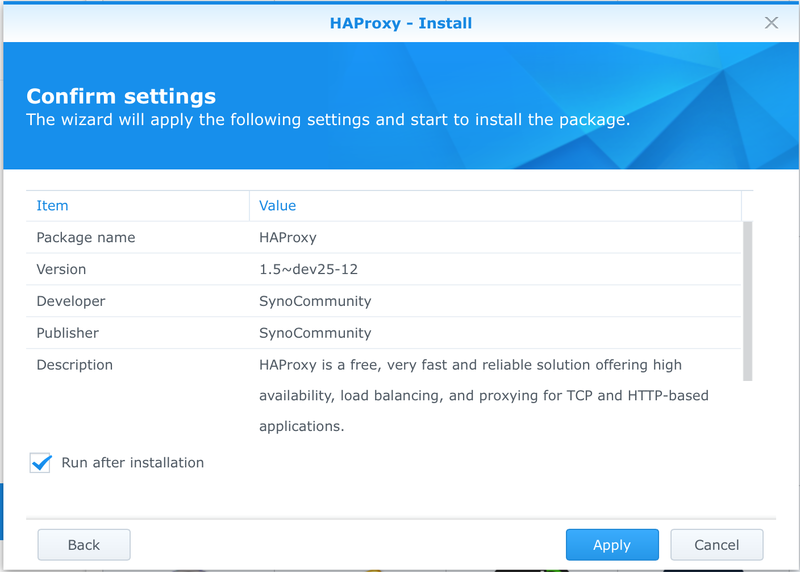 Now we can install haproxy. 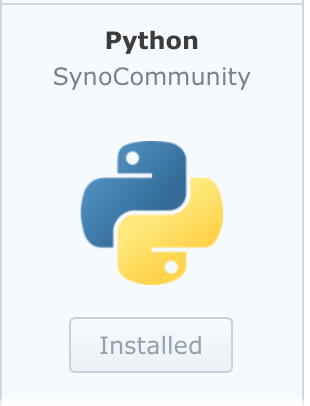 Since a requirement is Python 2.7 or higher we first install Python. 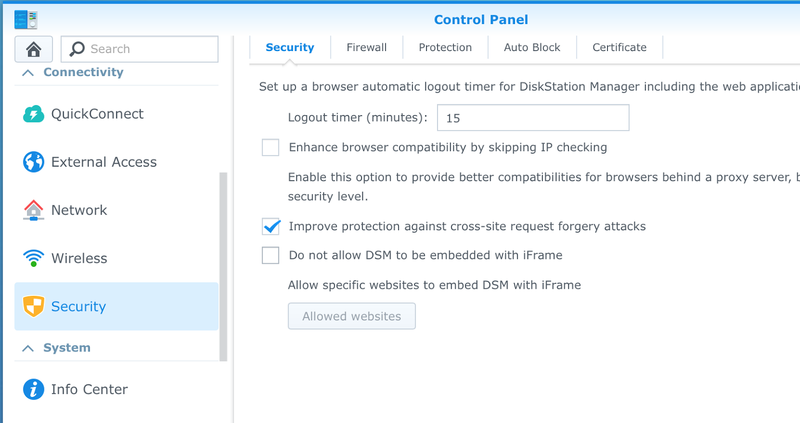 HAProxy uses an username and password to protect the status page. Enter those here. 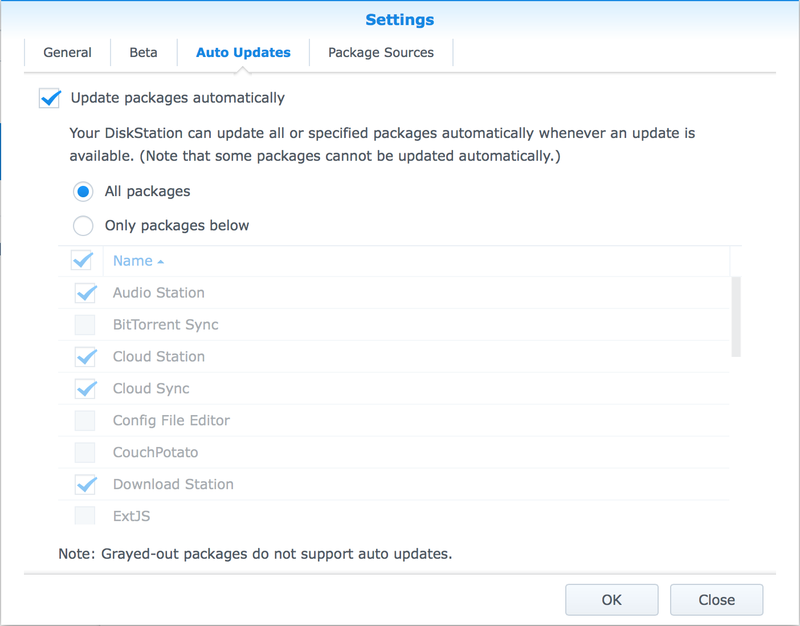 With version 1.5-dev25-12 there is an problem in the configuration which doesn't allow the application to run. We can however fix it ourselves. 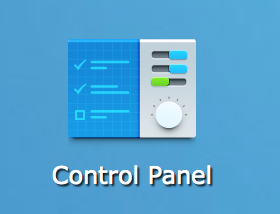 When the file opens scroll down to the part backend gateone. 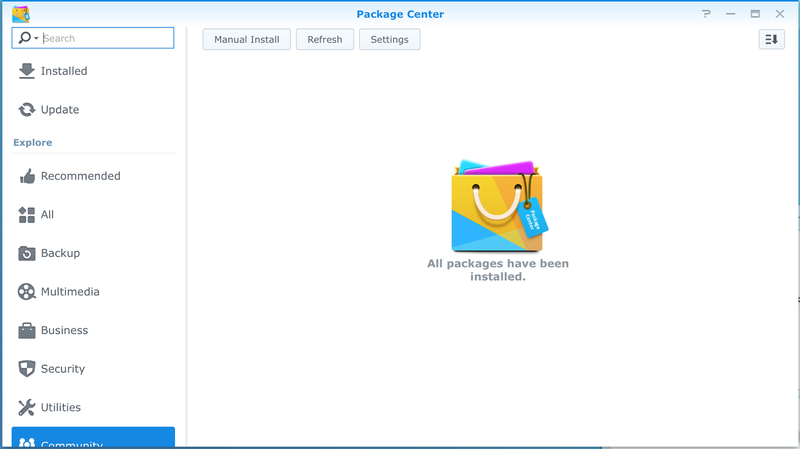 Now the package will run when we start it. 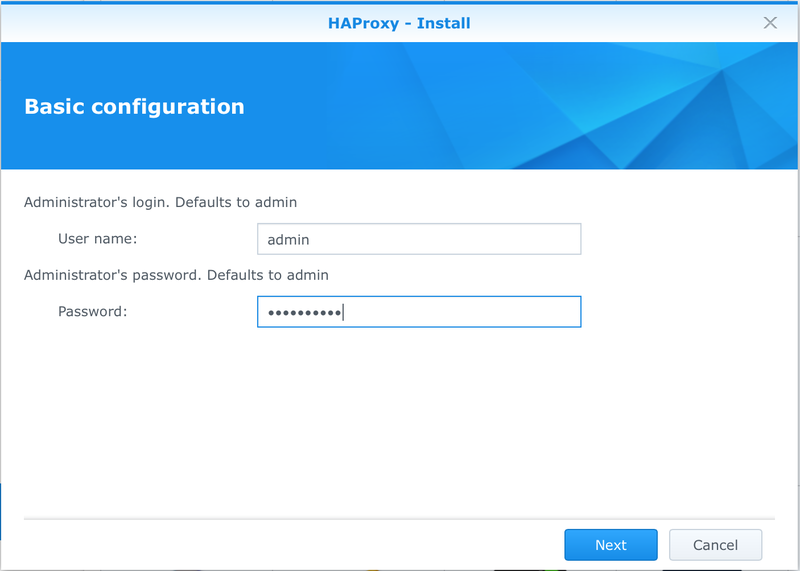 We can change these ports in the configuration file or you can modify your firewall (router) to forward the request incoming on port 80 or 443 to the ports of haproxy. 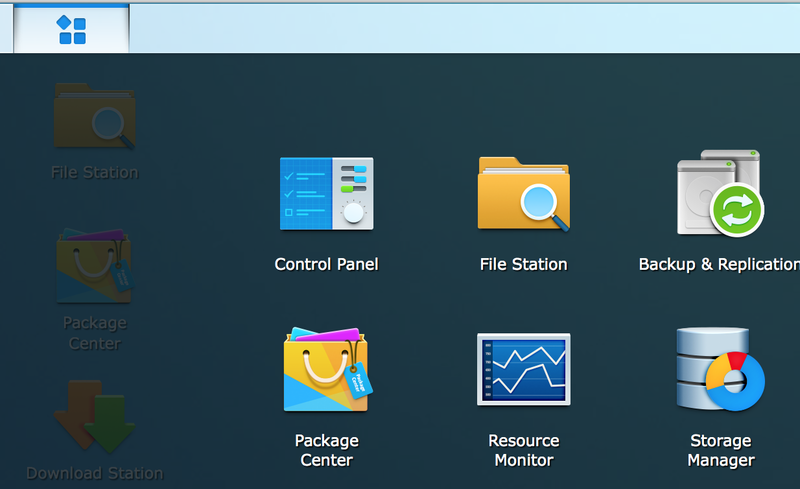 By default the applications are only available over the https (5443) port but you can copy those lines to the http (5080) port option. 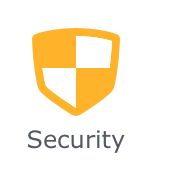 This makes it less secure!! 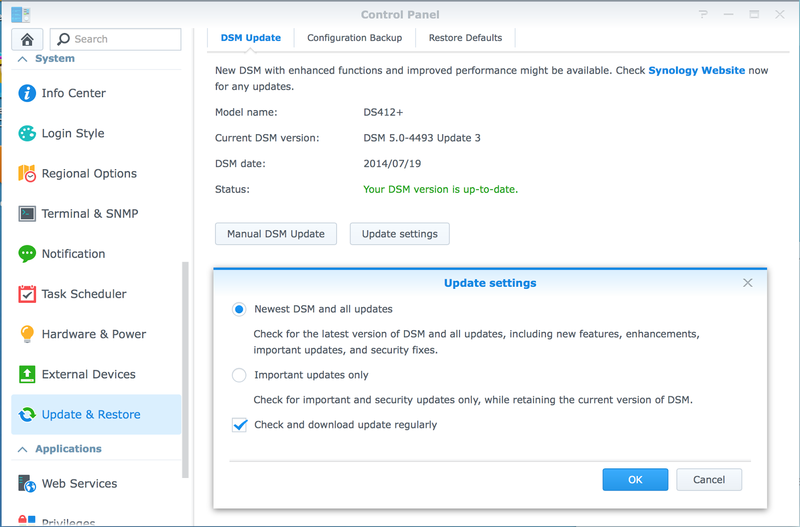 My first in a series is the advice to make sure your system is always up to date. 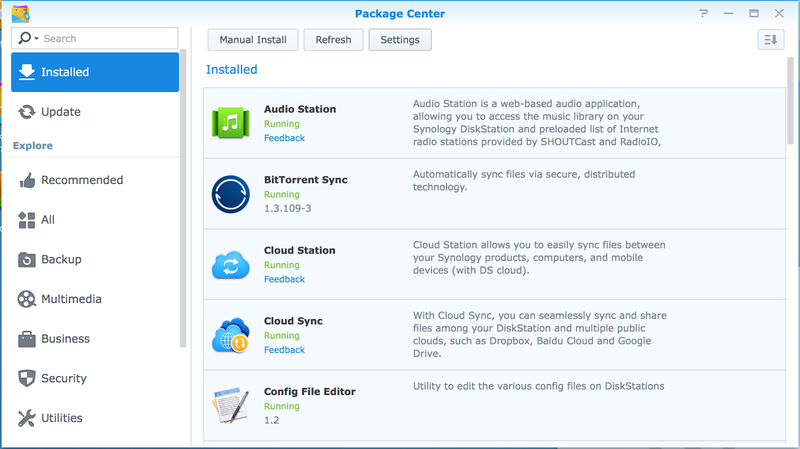 The press release of Synology states that the current versions of the software where NOT vulnerable for this virus. 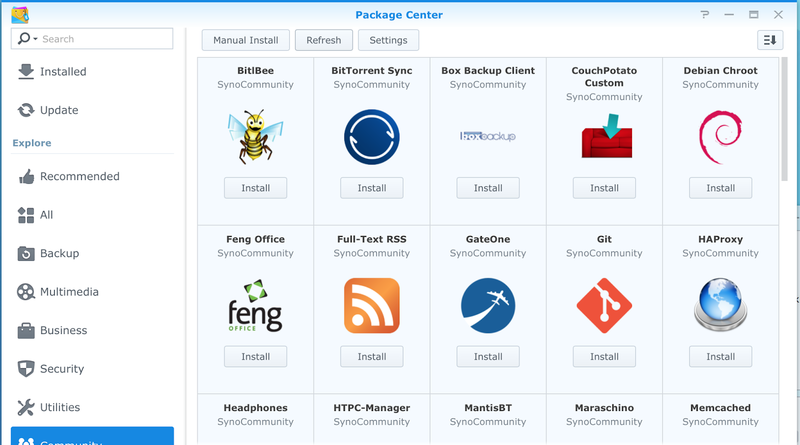 So first we make your system send you emails if there is an update for your Synology. 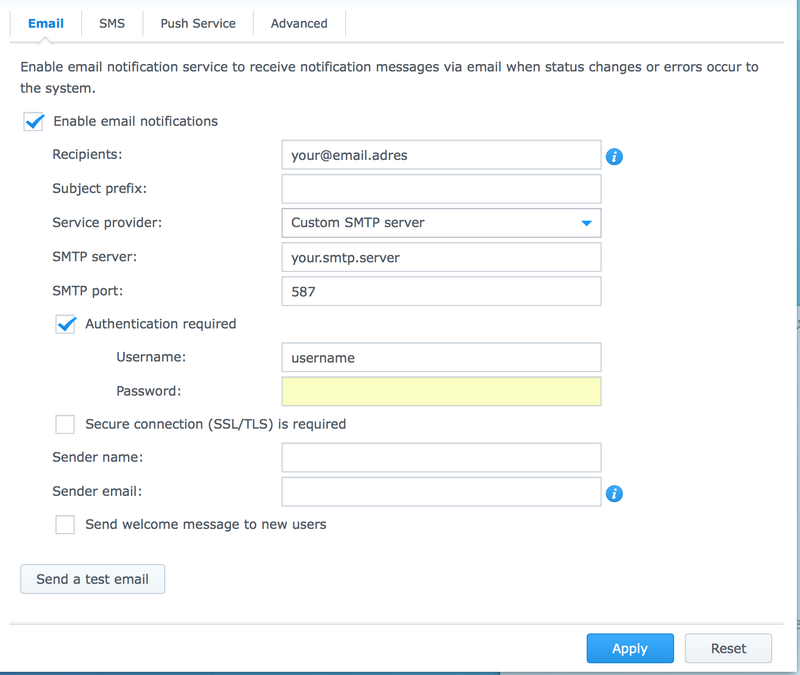 If you have information of sending emails through a SMTPServer (Mail Server) you can use the first tab (Email) to enter this information. Be sure to test the configuration. 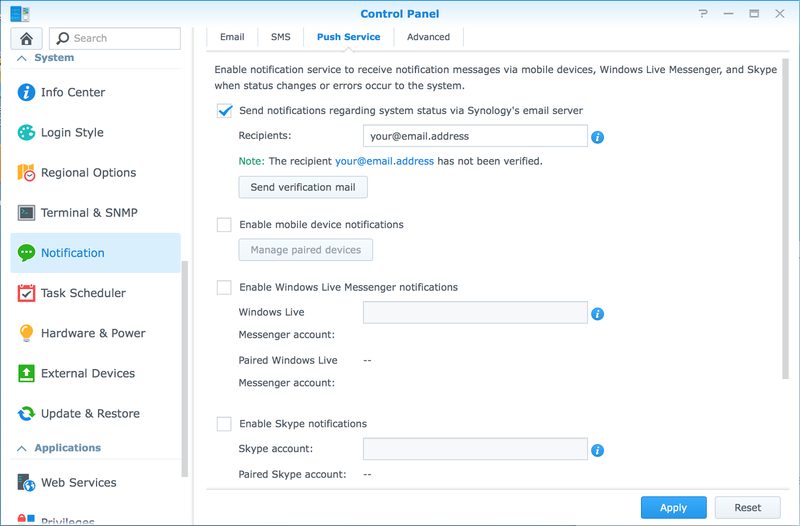 If you don't have access to an email server to send the emails you can choose to use the Synology notification email server. you find this on the tab "Push Service"
Fill in your emailaddress, click Apply, after a few seconds a new button appears. Click on this button "send verification mail", open your email box and click on the verification link in this email. 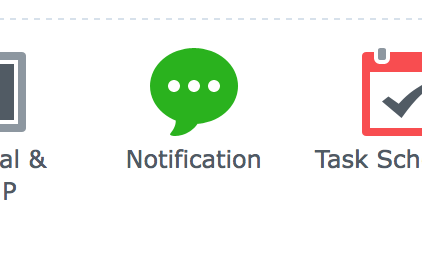 Email notifications will now be send. 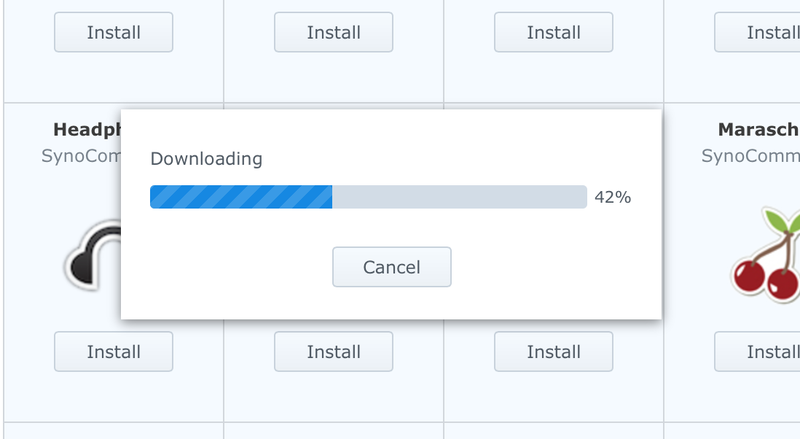 In the left menu go to "Update & Restore", in the page click on the button "Update Settings" and make sure that the system is checking for New and All updates and that the checkbox is checked to check and download these updates. 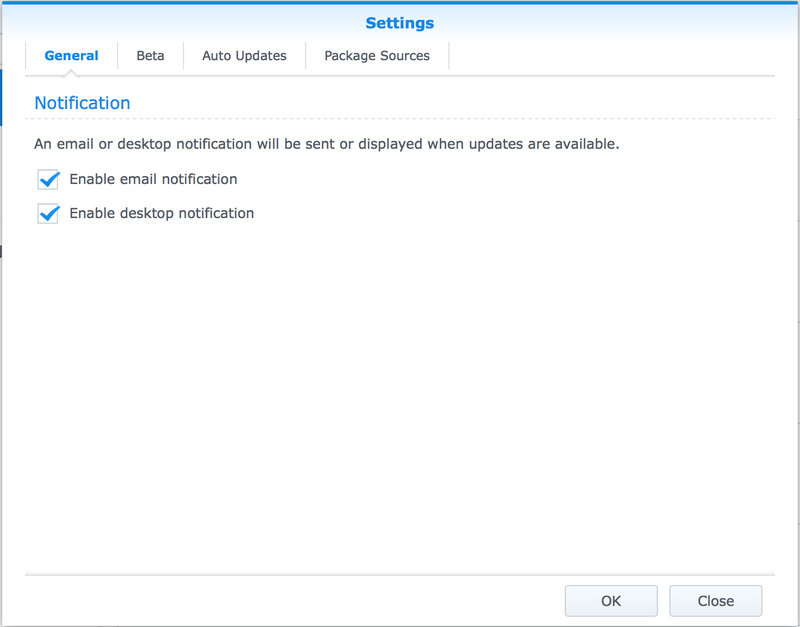 Now you will receive emails if there are updates available for your Synology System or applications.